For those of you who see value in every second, we've got a productivity hack for you! Shortcuts are the best way to shave seconds off of your workflow. To enable/disable shortcuts, navigate to Settings > My preferences > Gmail shortcuts > Toggle on or off. When shortcuts are turned on, you can view the list of shortcuts by pressing "?" or looking through the Integrations & Plugins panel on the far right. Enjoy your extra 16 hours! 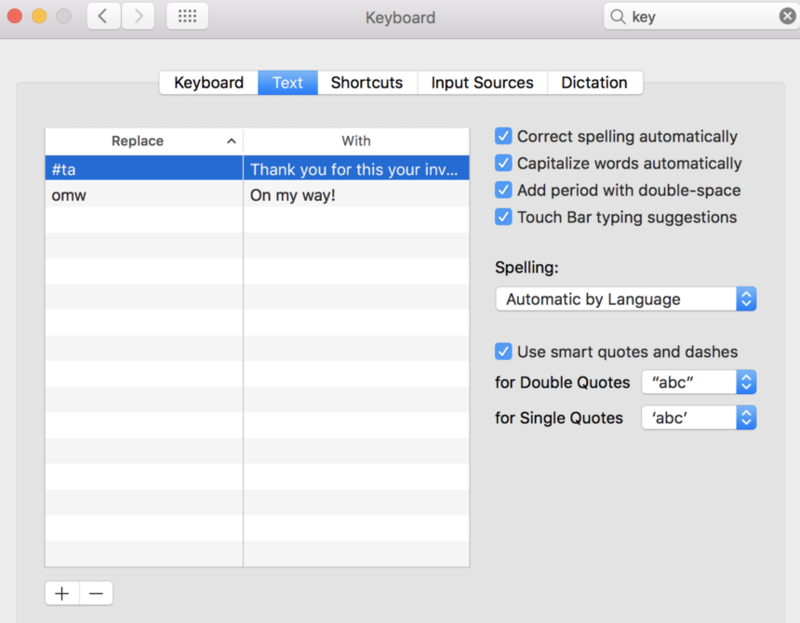 Is there any way on OSX to get Front to access the Keyboard Text expansions that the spellchecking system provides? So for example on any Mac typing "omw" then a space will let you expand the text to "On my way" - we have dozens of these for our most common paragraphs of standard text, they save hours every day. It works on Frontapp.com when logged into safari, but not in the OSX front app as it's not using the native spell check but instead using something from Chromium. Any way to fix this somehow? Ben George Hi there! Apologies for the delayed reply. 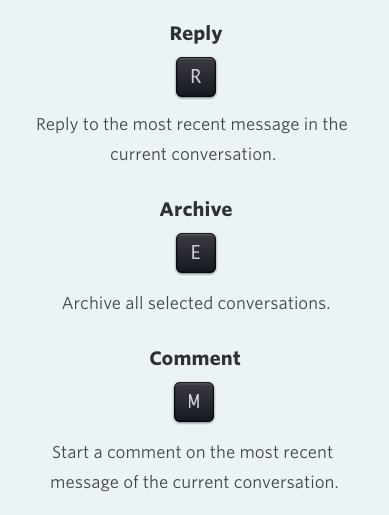 The way Front's desktop app is built, doesn't allow support for these keyboard text expansions. However, we've built internal text expansions so you can create these straight from Front. 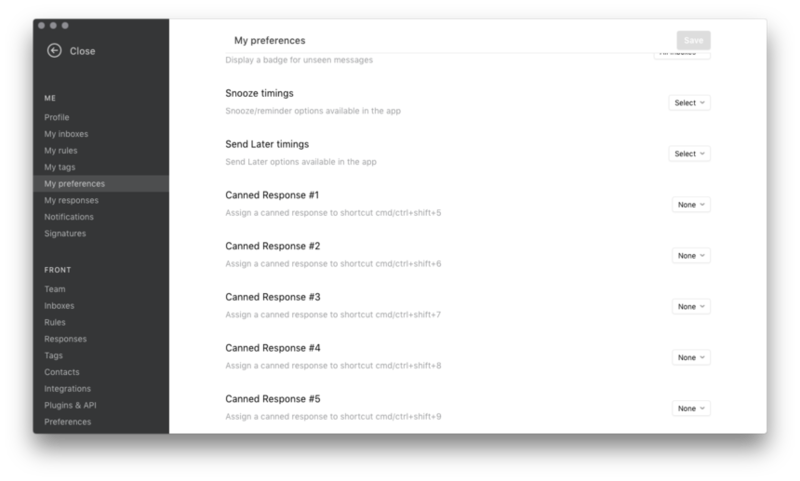 To do that, go to Settings, select My preferences, and scroll down to find Canned Response #1 and so on. You will see shortcuts that are associated to these canned responses. Hope that helps!